Four locations, three distances and all fundraising receives a 40% top up! 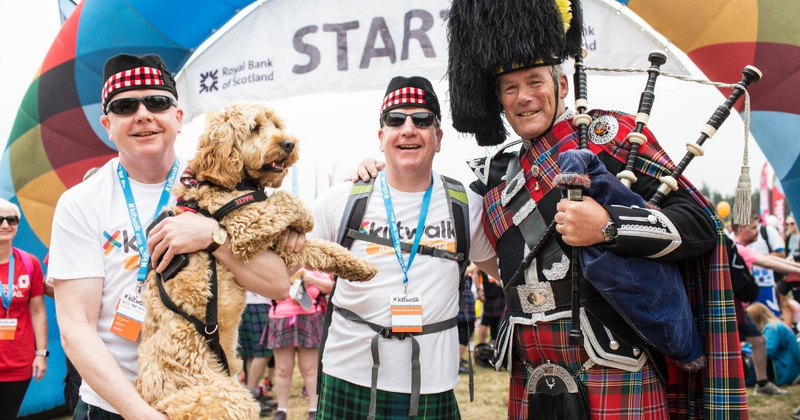 Last year’s Glasgow Kiltwalk was the biggest ever Kiltwalk with over 10,000 walkers taking part! This year, you could join in the fun by taking on a walk in four of Scotland’s beautiful cities. There are also three distances to choose from, so you whatever your ability or location – there’s a walk for you! To find out more about this event and to sign up, head over to the organiser’s website. You will be asked to pay a small registration fee and select which charity you wish to raise money for – please click on Family Holiday Association! They will guide you through setting up an online fundraising page, and there is no minimum sponsorship target – we simply ask that you raise as much as you can. And the best bit is… thanks to the kind people at the Sir Tom Hunter and The Hunter Foundation, each Kiltwalker’s fundraising receives an extra 40% donation. So if you raise £100, £140 will come to the Family Holiday Association – at no extra cost to you! 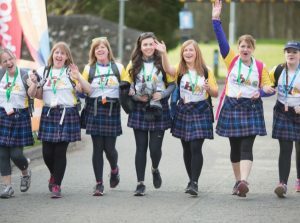 All participants that register for a Kiltwalk will receive a charity fundraising pack with t-shirt. For more information please contact michelle@fhaonline.org.uk or call 020 3117 0657.